1425 a. Relief slab. Pentelic marble. From an Altar? Found at Epidauros. Probably from an altar of the Twelve Olympian Gods. 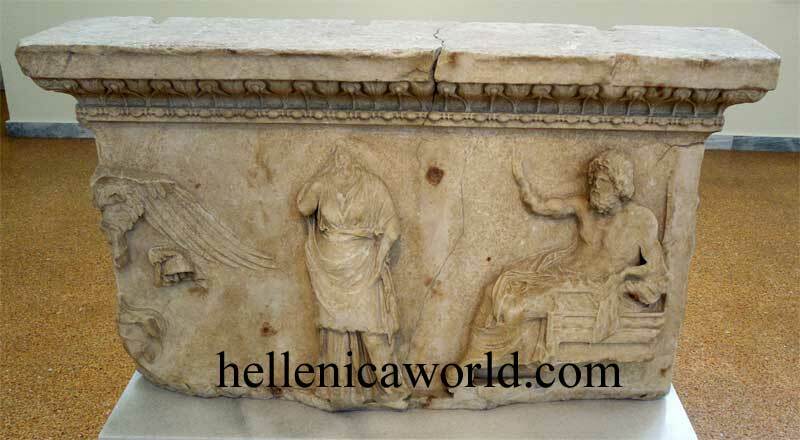 though according to another view they are Zeus and Hera. a depiction of an Archaistic female figure holding an oinochoe. 350-325 B.C. or - according to a recent view- work o the 1st cent. B.C.